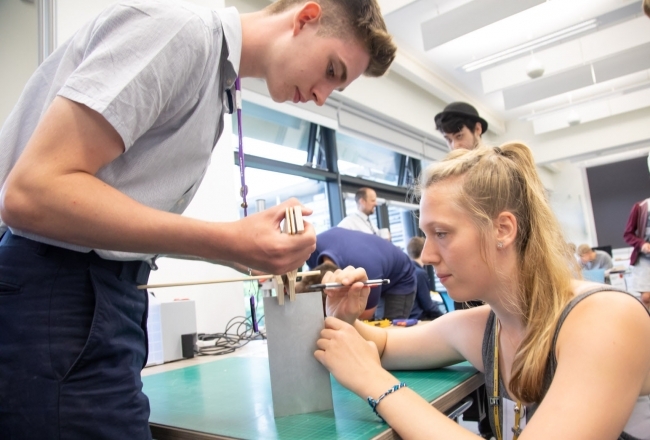 Three schools from Wales and Warwickshire were the main winners at the first ever ‘Design and Make Challenge’ organised by the Manufacturing Assembly Network (MAN). Alcester Grammar, Southam College and Ysgol Bro Dinefwr beat off competition from four other rivals to take the Manufacturing, Innovation and Efficiency titles respectively, impressing judges with their teamwork, creativity and ability to meet the project brief. 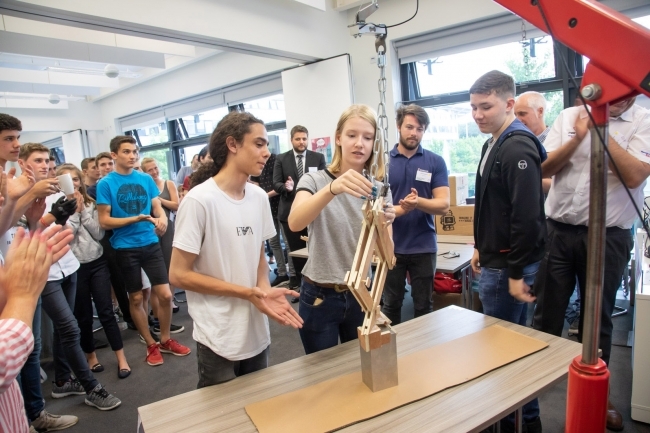 In total, 28 students swapped their daily lessons for the chance to test out their engineering and design skills by using basic materials and tools to make a device capable of lifting a 13kg block of stainless steel using just a friction grip. 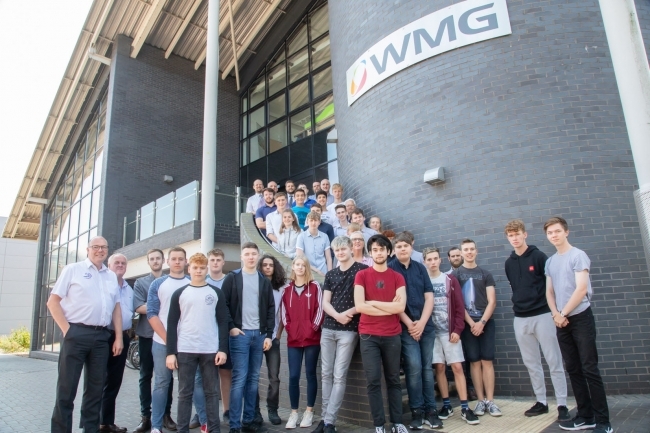 The event, which was hosted by WMG, is the first in a number of activities being created by MAN in order to help it bridge the skills gap and start developing a pipeline of future engineers. “Seven schools came forward and, I have to be honest, the atmosphere and energy was electric, especially with our young engineers providing hints and tips along the way. Out of the concepts created, five of them successfully lifted the block and the other two were brave solutions that came really close…a pretty impressive result. “The three winning teams each received an Ultimaker 3D Printing machine for their schools. These were kindly donated by the CREATE Education project, which brings together game-changing technology with inspirational content and creative minds. In addition to Alcester Grammar, Southam College and Ysgol Bro Dinefwr, teams also came from Kineton High, Lawrence Sheriff, Myton and President Kennedy Schools. They were all given a box of materials, including dowelling and plywood, and given the task of sketching out concepts before turning their designs into reality by using basic hand tools to come up with a device capable of lifting the block with just a hoist and two hooks. A prototype testing area was also set up to encourage pupils to put their ideas through their paces before submitting their final solution. It is made up of Alucast, Barkley Plastics, Brandauer, C-MAC SMT, Grove Design, KimberMills International, Mec Com, Muller Holdings and PP Control & Automation.